A brilliant but socially inept robotics engineer builds her own wedding date--and learns more about love than she ever expected--in this hilarious and heartwarming debut novel. Meet Kelly. Twenty-nine, go-getter, a brilliant robotics engineer, and perpetually single. 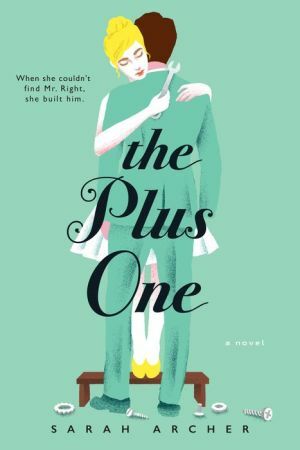 When her younger sister's wedding looms and her attempts to find a date become increasingly cringeworthy, Kelly does the only logical thing: she builds her own boyfriend. Ethan is perfect--gorgeous, attentive, smart, all topped off by a mechanical heart endlessly devoted to her, not to mention he's good with her mother. When she's with him, Kelly discovers a more confident, spontaneous version of herself--the person she'd always dreamed she could be. But as the struggle to keep Ethan's identity secret threatens to detonate her career, Kelly knows she has to kiss her perfect man good-bye. There's just one problem: she's falling for him.